The Wilbanks monolithic axe was found after heavy rains in the spring of 1917 by James Lawson on the banks of the Etowah River near Ball Ground in Cherokee County, Georgia. The axe suffered damage at the hands of the Lawson children who utilized it as a projectile to knock apples off of a tree. It was acquired by the Smithsonian Institution on February 22, 1922, which then restored it. 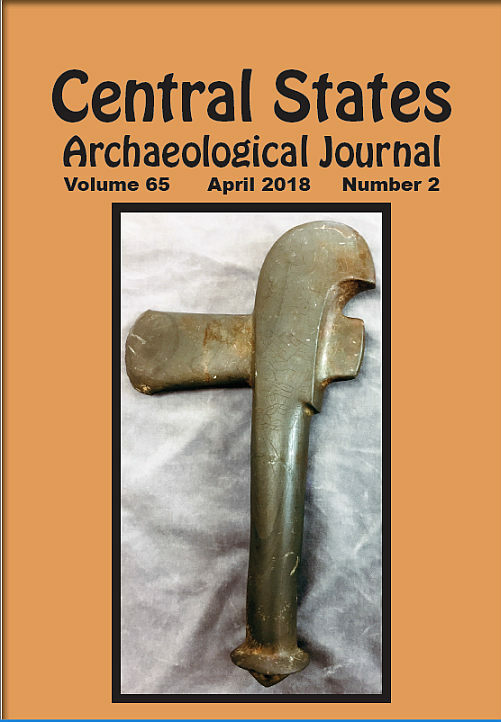 It is the only known monolithic axe with engraving, and this is the first time it has been published in true color. It measures 11 1/8 inches in length and is made from a highly polished greenstone. For the full story, see page 82. The Rabbit’s Foot - Bad or Good Luck?